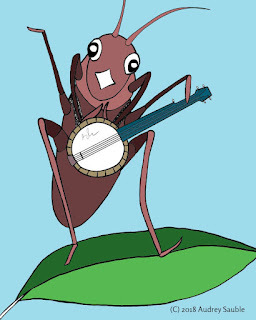 Yes, I know that crickets don't sing. They make a chirping noise by rubbing their wings together. 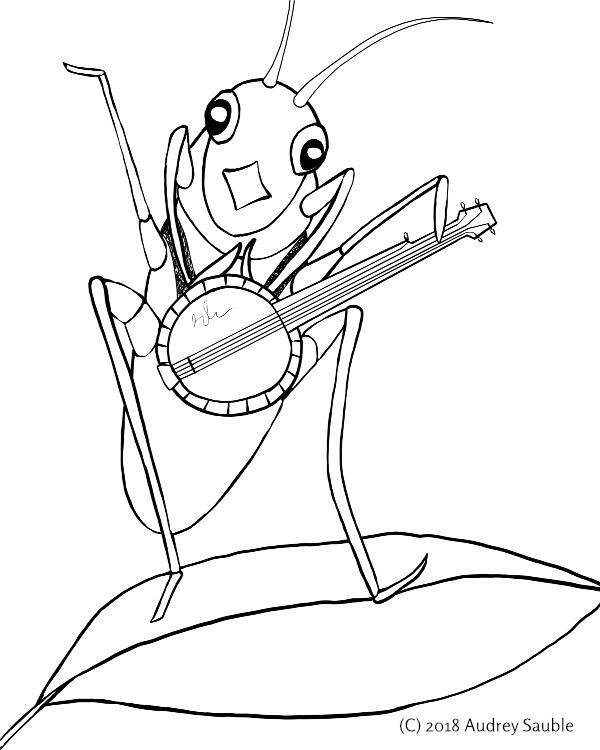 However, I'm going to blame this coloring page on too much Cricket in Times Square. 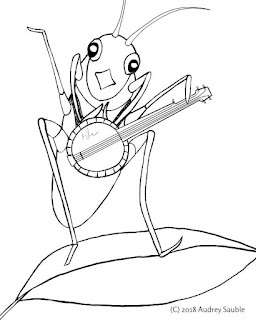 After creating the ladybug coloring page last month, I wanted to play with another idea--a musical insect. Crickets are a rather obvious choice, if you try to pick a musical animal. Also, we've been listening to the audio book verion of George Selden's The Cricket in Times Square quite frequently. So, a cricket it was! The face was the easy part to draw on this picture. I did a little doodling with Mr. Cricket's eyes at the end, but the overall expression just happened. It took me several tries, though, to figure out how to add properly insectoid legs. Then I started wondering if he needed something more. A banjo seemed to fit, and there you have it! Here's the PDF, for downloading the coloring page from Dropbox, if you would like to print the page for yourself! Also, a big thank you to my little brother for having a banjo around, so that I could check the finer details of banjo construction. No banjo videos, but he has a YouTube channel featuring some of his guitar music. 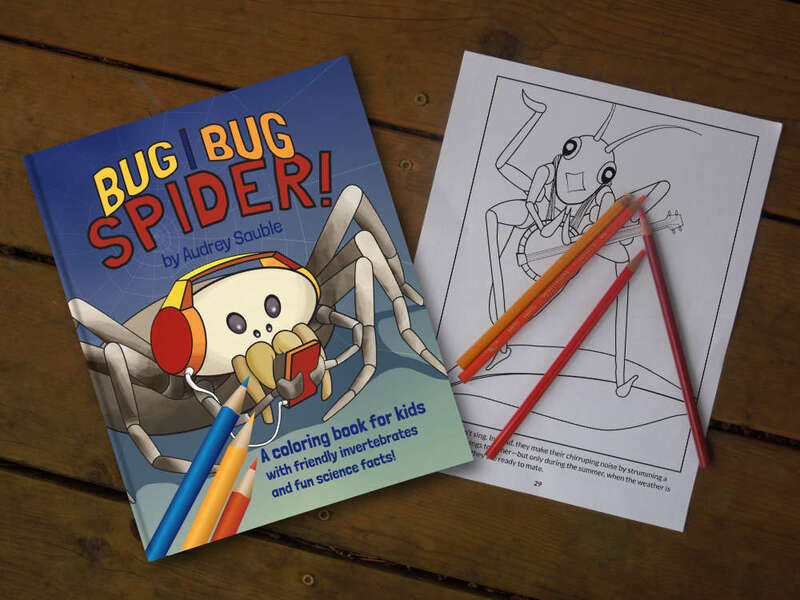 Note: I've included an updated version of this coloring page, along with dozens of other coloring pages and nature-themed activities, in my coloring book, Bug, Bug, Spider!, available on Amazon. This came out great, Audrey! Both your lady bug and your cricket are pretty cute. Thanks! It's fun to play with character expressions!